Sheikh .M. 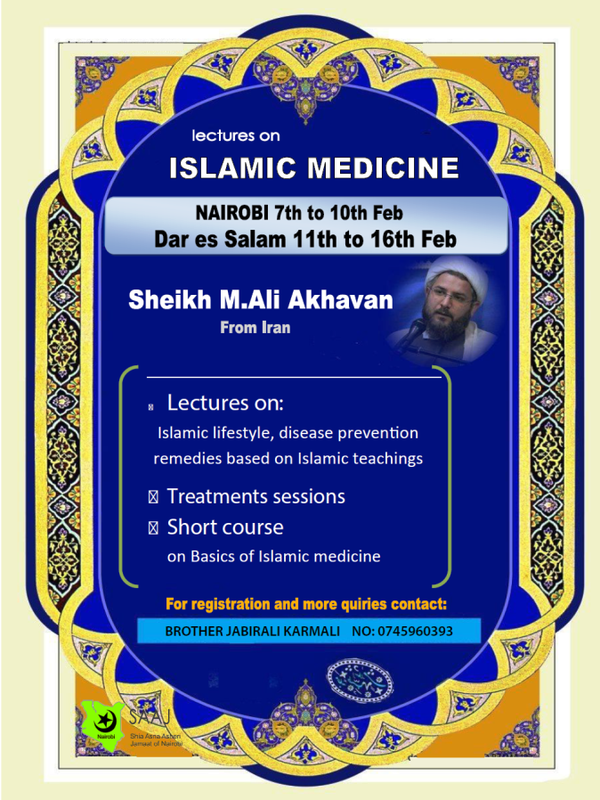 Ali Akhavan, a renowned Practitioner of Islamic Medicine from Iran who has written more than 10 books on the above subject will be visiting Nairobi during the Ayyame Fatemiyya period. Ustad Akhavan will be available for advise or question & answer after the Ayyame Fatemiyya Night Programs. In addition he will conduct a short course based on Basic Islamic Medicine as well as offer Treatment sessions on appointment for all those who might be interested. For more information please see below poster.